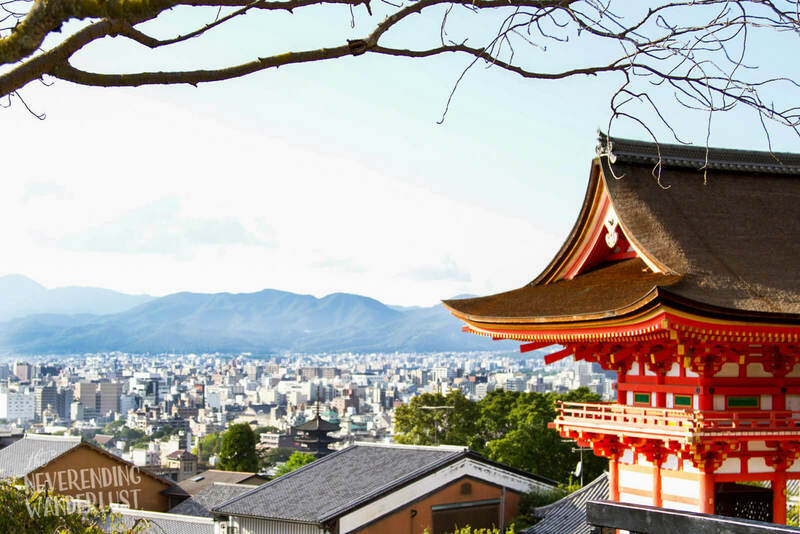 48 Hours in Kyoto is the ideal time to explore the highlights of this wonderful city. Check out this 48 Hours Itinerary of Wonders by Guest Poster Lindsay of The Never Ending Wanderlust. The floor is all yours my dear friend! Japan is an absolutely fantastic country and has been one of my favorite places to visit over the past few years. I fell in love with the Kansai region, particularly Kyoto. There is a lot to see and do in this beautiful city, though you can certainly hit the highlights in just a couple of days. 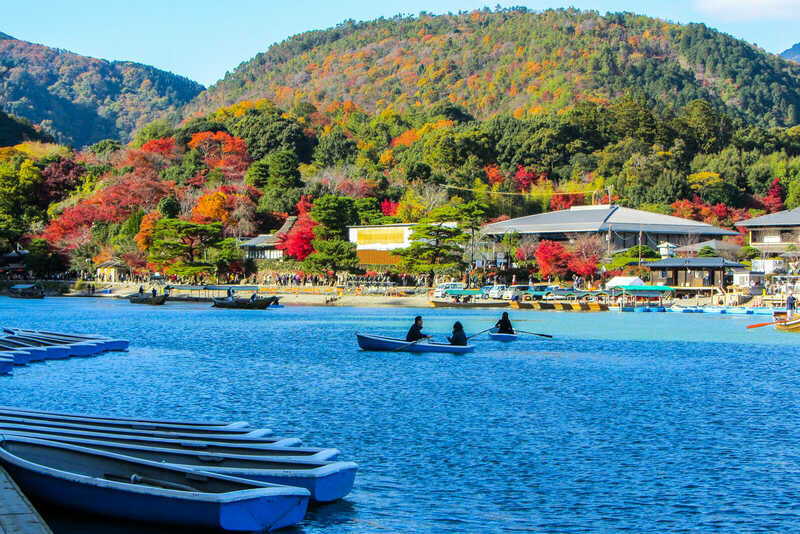 In fact, I would say that 48 Hours in Kyoto is more than enough specially if you’re on a tight budget (be sure to check out this article to see how expensive Japan truly is!). I visited Osaka (check out this article about Osaka and Kobe Weekend Getaways) and Kyoto over a long weekend back in 2015 and stayed near Gion as it was a fairly central location. If you’re on a time-crunch like I was, here’s how I suggest you best spend 48 hours in Kyoto without going bankrupt. 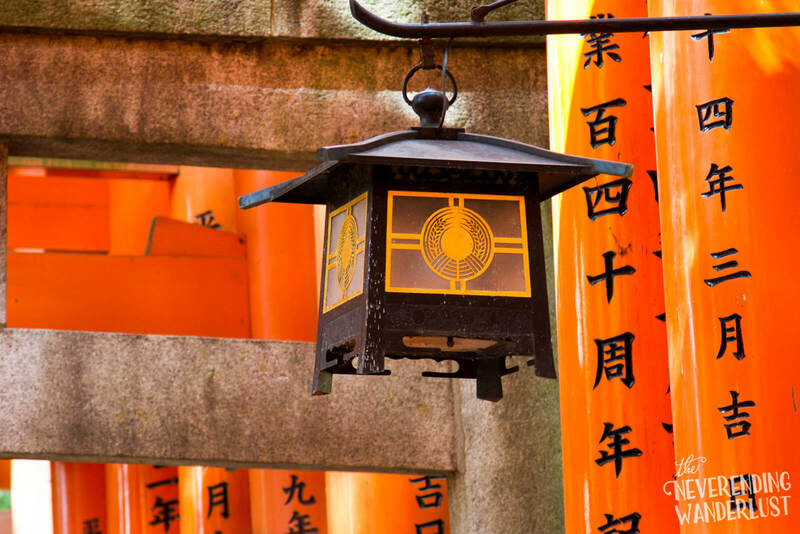 You, along with every other tourist in Kyoto will want to see the Fushimi Inari Shrine in hopes of catching that epic shot of the orange gates. If you want to catch a tourist-free shot, make sure you get there at the crack of dawn, as soon as it opens, and head up the hill a bit. You don’t have to get your shot on the very first set of orange gates you see, there are plenty to go around. I happened to visit Kyoto, which is one of the best destinations to visit in Japan, on a holiday weekend and was not fortunate enough to get that amazing shot. The rest of the grounds are quite lovely though, and I was able to catch a few snaps of some of the less-popular areas. You can easily spend 2-3 hours here and entrance is free. 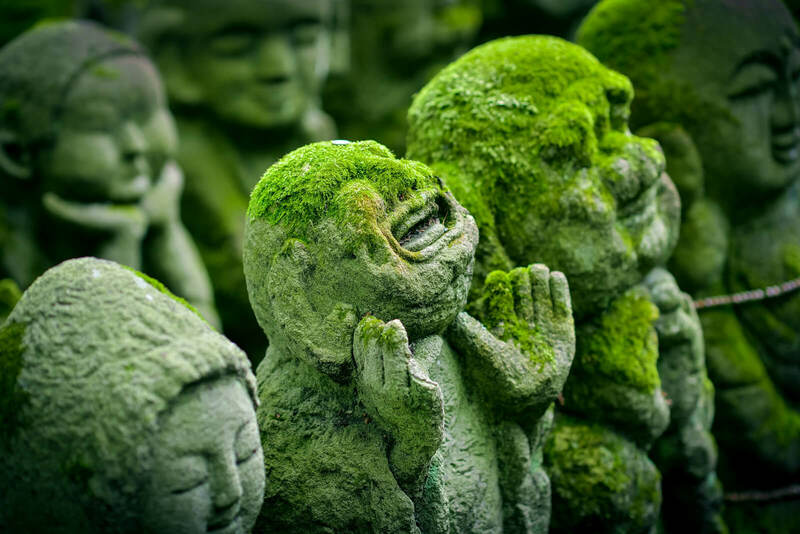 The next stop on your list should definitely be Sanjusangendo Temple. It is in the same area of the city and is the most awe-inspiring thing I saw in Kyoto. The temple is famous for displaying the 1001 Kannon (the goddess of mercy) and it absolutely does not disappoint. The outside of the temple (pictured here) is very low-key, but seeing the Kannon will absolutely impress. You can’t take pictures once inside though there are a variety of things you can purchase in the gift shop to remember your visit; the mental images are quite enough. Plan on spending about 1-1.5hr here and the entrance fee is 600 yen. If you are feeling peckish, there are a few small restaurants in the area or you can wait until you get to Kiyomizudera Temple, where you’ll have many more options. 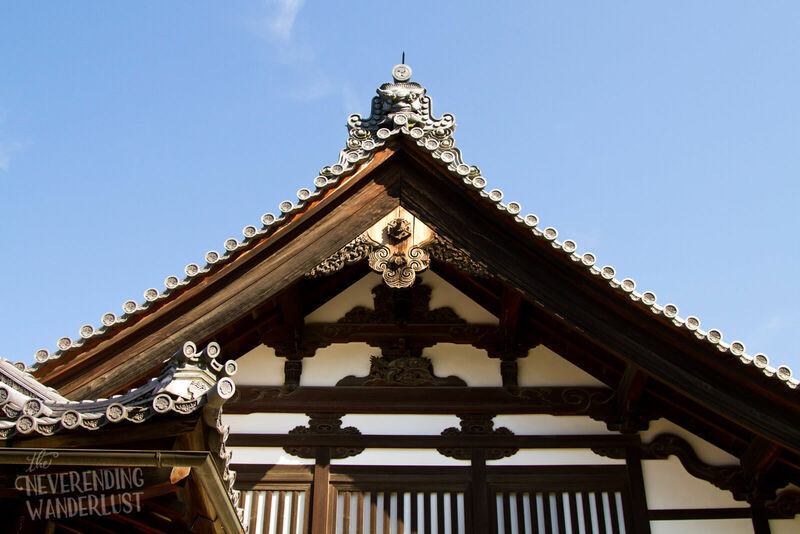 How you get to Kiyomizudera Temple will really depend on your energy and fitness. It is at the top of a decent-sized hill. I took a taxi up as far as it would go and do not regret my decision one bit! It is very easy to see why Kiyomizudera is a very popular place to visit. There are great touristy shopping places on the way up to the temple and the views from the top are absolutely stunning! If you do enjoy shopping, you can easily spend 1-2hr looking in all the little shops, and another hour (or so) at the temple itself. There are also a few restaurants and street food stalls and there are many more food options than Sangjusangendo. The entrance fee is 300 yen. 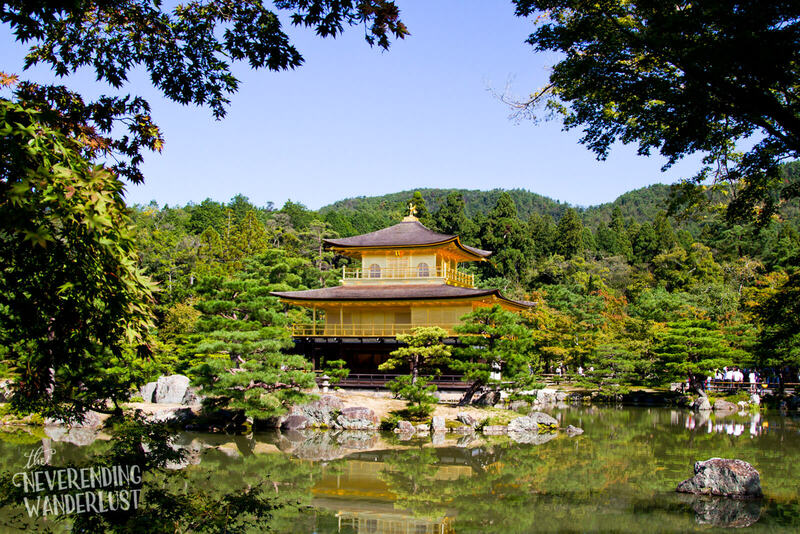 I highly recommend starting your second day off at Kinkaku-ji,The Gold Pavilion, because every visitor that isn’t at the Fushimi Inari Shrine will be here to catch the temple lit up by the morning sun. The grounds are not large, but there are a few a few perfect photo spots so you can make sure you get that iconic shot. Plan on spending 1-1.5hr here and bring your patience if you want to get a people-free shot. The temple opens at 9am and the entrance fee is 400 yen. 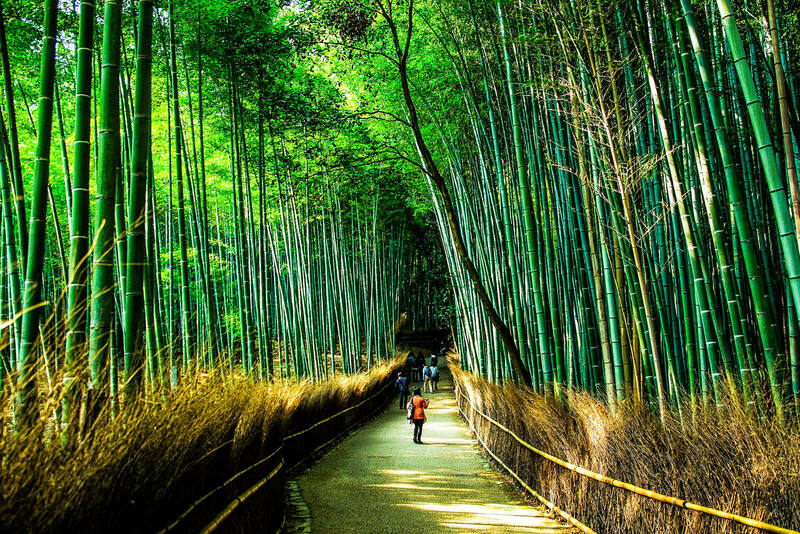 While you are in the northern part of the city, you’ll definitely be within reach of the Arashiyama Bamboo Forest (Saga-Arashiyama station on the JR line or Arashiyama Hankyu Station on the Hankyu Railway). This is one of the other iconic spots found in Kyoto and the photo opportunities are fantastic. Entrance is free and it is open 24hr/day. You can also visit the nearby Snow Monkey Sanctuary up in the small mountain. Officially named Jishō-ji and affectionately named The Silver Pavilion, Ginkaku-ji is a great place to stop en-route back to the Gion District. Though the temple isn’t covered in silver, like the name would suggest, it is nestled within a beautiful garden that is well-worth seeing. Admission is 500 yen and it is open until 5pm (4:30pm Dec-Feb). Gion is a great place to end your day and your trip to Kyoto. 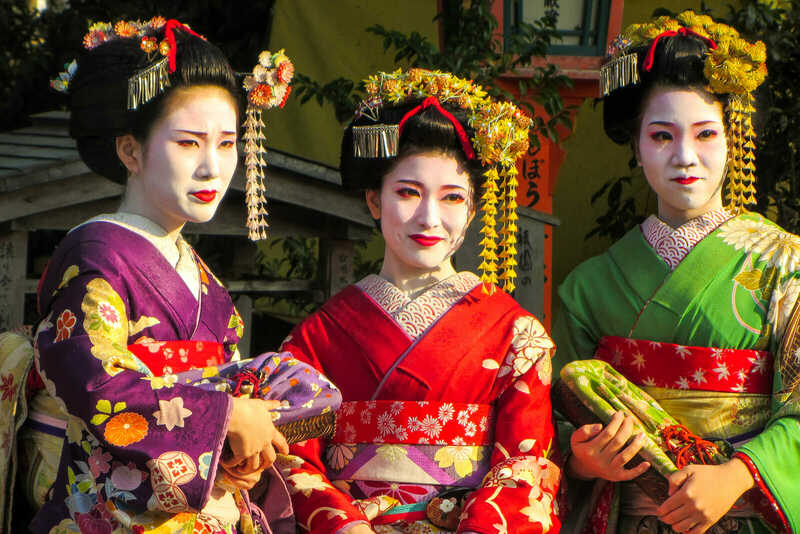 The area is alive with many restaurants, bars, and shops – you may even catch a peek at a local Geisha and Maiko. Definitely check out Pontocho Alley, whether you decide to eat there or not, the atmosphere is definitely worth checking out. Also, you can rent a Geisha costume and wear make up to do an unforgettable photo shoot of wonders! Pretty cool itinerary, right? Also, if you have the time, be sure to check out this 3 Weeks in Japan Itinerary for the ultimate experience my friends! I definitely recommend staying near the Gion District as it is quite centrally located and there are plenty of places to eat/shop within walking distance. There is a wide variety of lodging options available, from luxury hotels and Ryokan, to private homes and hostels. Some popular places to stay in the area are Hotel Mume, Shiraume, Yuzuya Ryokan, A-Yado Gion, Jam Hostel Kyoto Gion, and Guest house Rakuza. 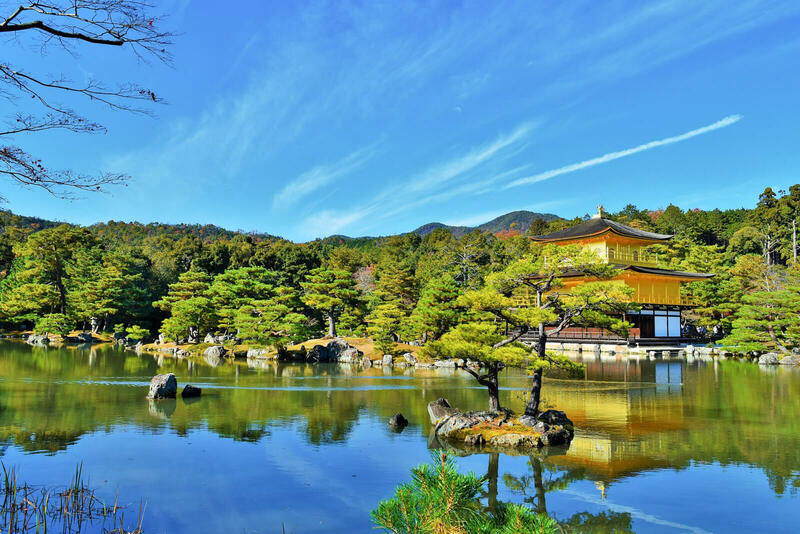 I hope you have enjoyed this article about the Ultimate 48 Hours in Kyoto Itinerary of Wonders. Don’t forget to subscribe in order to get more awesome updates and tips straight to your e-mail! Have you ever been to Kyoto? Would you like to? What are some of your best things to do and see in Kyoto? Share your thoughts and let me know what you think! Lindsay is the owner, photographer of the travel blog The Neverending Wanderlust. She is from the Midwest, USA, but currently lives in Plovdiv, Bulgaria where she teaches High School English. She is a slow, mid-range traveler who focuses on photographic, cultural, and culinary exploration. Check out more of Lindsay’s work on her blog, Facebook and Instagram!